RTP1 is the main television channel of Rádio e Televisão de Portugal, the Portuguese public broadcasting corporation. It is Portugal's first channel, and was launched in 1955. For a brief period it was known and marketed as Canal 1 ; it has long been commonly called this. It is one of the most watched television networks in the country. The channel became a 24-hour service in 2002, although it now leases its graveyard slot to the infomercial producer and direct-response marketer, A Loja Em Casa. Until that point, RTP1 closed down with the national anthem, but this practice stopped not too long before infomercials filled the overnight slots. The following is a list of albums that have been certified by the Associação Fonográfica Portuguesa. Pieces of a Dream is a greatest hits album by American singer Anastacia. It was released on November 7, 2005, by Epic Records. The album includes singles from her first three studio albums, Not That Kind (2000), Freak of Nature (2001), and Anastacia (2004), as well as four new songs and a megamix of her greatest hits. Only two of Anastacia's singles—"Boom", the official 2002 FIFA World Cup anthem, and "Love Is a Crime", from the soundtrack to the 2002 film Chicago—were omitted from the album, but are included as remixes on the special edition of the album. Serious Hits… Live! is the name of Phil Collins' 1990 live album, released on vinyl and CD. It is also the title of the 2003 DVD video release of his concert at Berlin's Waldbühne on 15 July 1990. The songs on the CD version are taken from various concerts during the Seriously, Live! World Tour. At the Brit Awards in 1992, the album brought Collins a nomination for British Male Artist. We Will Rock You is a concert film by English band Queen. It was filmed in Montreal, Quebec, Canada at the Montreal Forum on 24 and 25 November 1981. DiscO-Zone is the third and final album that was produced and released by the Moldovan band O-Zone. It was first released on June 6, 2004 in multiple countries throughout Europe. It features their hit singles "Dragostea Din Tei " and "Despre Tine ". The album was a commercial success in many European countries, particularly in Portugal where it hit number one for eight consecutive weeks and was ranked for 26 weeks in the top 30. It also reached the top ten in Wallonia (Belgium), Poland, Norway, Switzerland, and Finland. In France, it reached number 15 but stayed for 36 weeks in the top 200. In Japan it reached the number one position in its 24th week on the chart. This page includes the full discography of Sarah Brightman, including albums, singles, and theatre cast recordings. 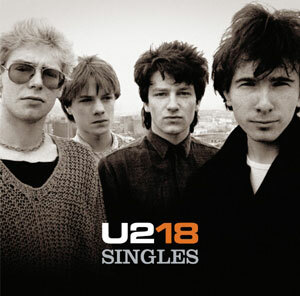 U218 Singles is a greatest hits album by the Irish rock band U2, released in November 2006. In most markets, the album contains 18 songs. The first 16 tracks are 16 of their most successful and popular singles. The 17th track is a cover version, in collaboration with Green Day, of The Skids' "The Saints Are Coming" to benefit Hurricane Katrina charities. The 18th and closing track is a new song called, "Window in the Skies". However, in some markets, such as the United Kingdom, an extra song, "I Will Follow", is added to the track list as the opening track. U218 Videos, a DVD featuring music videos from throughout U2's career, was released concurrently. Greatest Hits is the first greatest hits compilation album released by British boy band Take That. It has sold 5 million copies to date worldwide. 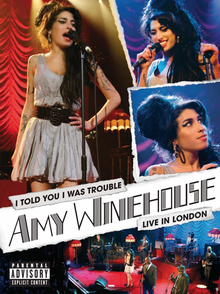 I Told You I Was Trouble: Live in London is a live video album by English singer and songwriter Amy Winehouse, released on DVD and Blu-ray on 5 November 2007 by Island Records. It was filmed on 29 May 2007 at Shepherd's Bush Empire in London, England. On 11 December 2015, the album was released on vinyl as part of an eight-disc, limited-edition vinyl box set titled The Collection. When in Rome 2007 is a live DVD by British rock band Genesis recorded at Circus Maximus, Rome, Italy, on 14 July 2007, during the Turn It On Again Tour. The concert was directed by David Mallet. The collection was released on 26 May 2008 in most of the world and 10 June 2008 in North America. During its initial release in the United States, it was available exclusively via the band's website, or through Walmart and Sam's Club retail and online stores. Since November 2009, it has been available in regular outlets and online stores in the United States. The Katie Melua Collection is a compilation album by Georgian-born British singer and songwriter Katie Melua. The album is a two disc set with 17 songs, three previously unreleased, and a DVD that was filmed in Rotterdam, Netherlands. The discography of Brazilian pop singer-songwriter Kelly Key consists of six studio album, two compilations, one live album and twenty-two singles. Key is one of the best-selling music pop artists of all-time in Brazil, with sales of over 2 million albums. 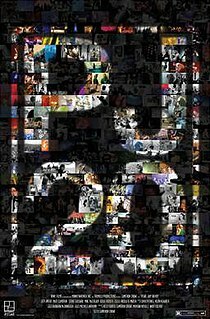 Pearl Jam Twenty is a 2011 American documentary directed by Cameron Crowe about the band Pearl Jam. Preliminary footage was being shot as of June 2010. Crowe completed filming in April 2011, after using 12,000 hours of footage of the band for the documentary. The film premiered at the 2011 Toronto International Film Festival and also had an accompanying book and soundtrack. The discography of English singer-songwriter Simon Webbe consists of seven singles, three studio albums and one live album. In Concert: A Benefit for the Crossroads Centre at Antigua is a live concert film featuring performances by the British rock musician Eric Clapton and invited friends, such as David Sanborn, Sheryl Crow, Mary J. Blige and Bob Dylan. The DVD and VHS releases hit the market on 26 October 1999 under license of Warner Bros. Records. The concert tickets revenue was donated to the Crossroads Centre Foundation. It was the first Crossroads Guitar Festival, although titled differently at the time. The release reached various national charts and sold more than 225,000 copies worldwide. 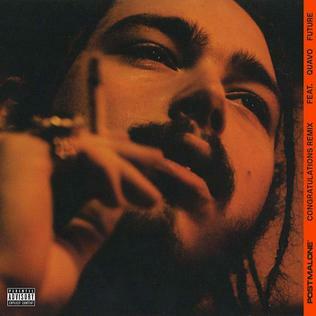 "Congratulations" is a song by American rapper Post Malone. It was released on November 4, 2016, by Republic Records as the first promotional single from his debut studio album, Stoney. It was then released on January 31, 2017, as the fifth single from the album. 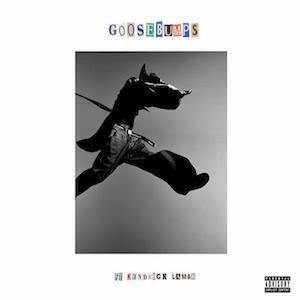 The track features vocals from Quavo, and was produced by Metro Boomin, Frank Dukes and Louis Bell. The track peaked at number eight on the US Billboard Hot 100, becoming his highest peaking single on the chart, surpassing the number 14 peak of his debut hit, "White Iverson", until it was again surpassed by his track "Rockstar" featuring 21 Savage, which peaked at number one. The song has so far received over 990 million YouTube views worldwide. "I Fall Apart" is a song by American rapper Post Malone from his album Stoney (2016). The song was released for digital download on December 9, 2016 by Republic Records and sent to rhythmic contemporary radio on October 17, 2017 as the sixth and final single from the album Stoney, after a viral performance on social media. ↑ "Associação Fonográfica Portuguesa" Archived January 2, 2010, at the Wayback Machine .. Associação Fonográfica Portuguesa. ↑ "Portuguese Labels Pull Plug On Singles Chart 04/03/04". Billboard . Nielsen Business Media. 116 (14): 55. 4 March 2006. ISSN 0006-2510. 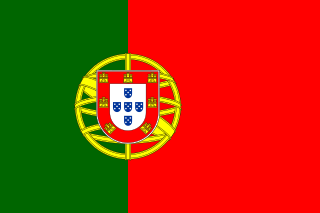 ↑ "Portuguese Charts". Associação Fonográfica Portuguesa. Associação Fonográfica Portuguesa. 2013. 1 2 3 "International Certification Award levels" Archived June 25, 2008, at the Wayback Machine . IFPI. Retrieved May 24, 2018.